Are Your Ready for the Frenzy of Fall? With August underway, attention turns from fun in the sun to back to school. For many retail and service businesses, this means a few changes are coming your way. First, traffic patterns will change as people are out and about, needing to make quick stops for convenience meals, snacks, and gas. Second, as college and high school students return to class, your staff makeup and availability will probably also change. Be ready for these changes by evaluating your training and re-training needs now. Re-training is particularly important on compliance issues to ensure your business meets or exceeds federal, state, and local guidelines. You can’t afford not to train on important topics such as age-restricted sales, credit card processing, anti-discrimination and the like. Put a plan in place now before the sizzle of summer turns into the frenzy of fall. The Compliance Training Online Workshop is designed to cover employee responsibilities in compliance specifically for convenience stores. This workshop is critical training for employees new to the industry, but can also be used as a refresher course for employees at all levels. If you haven’t heard the term “affirmative defense,” we hope you never have to learn about it the hard way. The United States Supreme Court has ruled that employers can be held liable for harassment and discrimination if they don’t put forth reasonable efforts to prevent and promptly correct these types of problems in the workplace. Should you be sued for harassment, discrimination, or similar issues, you have a chance at an affirmative defense if you can prove that you provided comprehensive training. Training on important compliance topics is a critical business responsibility, but that doesn’t mean it has to be difficult to achieve. Online learning management systems make it simple for you to provide compliance training that is relevant, up-to-date, assessed, and tracked. New employees should go through your compliance programs before they hit the sales floor, and current employees should be re-trained annually. Course certifications that are issued by your online training program reinforce the importance of the training and create a sense of increased accountability. Your staff is your greatest asset. Their safety and well-being is your responsibility. When you have well-trained employees who feel good about where they work and who they work with, they’ll be more committed, loyal, and customer-service focused. Providing a safe and positive working environment is not only a necessary thing to do, it’s also the right thing to do. As your partner in training and learning management, we’re always looking for ways to serve you better. That’s why we’ve taken our growing company and branched out into three specialized service areas. First is Ready Convenience, our flagship brand providing training to the convenience store industry. Next, is Service That Sells! training for restaurants. Our most recently launched brand is Sunrise Basic which offers comprehensive training for the hospitality and lodging industry. While the name we use to identify our training products has changed, our commitment to providing quality training and state-of-the-art learning management has not. In fact, this diversification only makes us stronger. With specialized teams with expertise in each area, we’re able to deliver more targeted, relevant, and engaging training to help you grow your business. Click here to follow our Ready Training Online Facebook page for the latest information on our brands. Can’t find that password? Forgot your username? Don’t worry, we’ve got you covered. The Sunhawk LMS is equipped with a password recovery feature. The links below will walk you through the steps to retrieve a forgotten username or password. About 8 million employees — roughly 5 percent of the U.S. workforce — hold second jobs. With school about to start, you can add working students to the large group of part-time employees. Part-timers play an especially important role in the service industry. 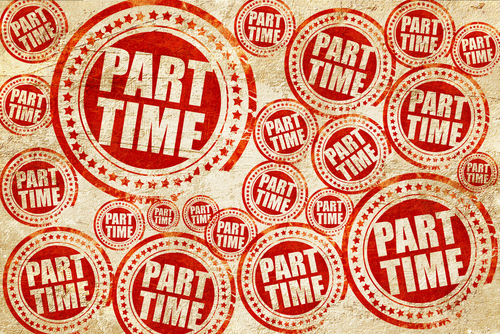 How you manage your part timers has an impact on teamwork, morale, and overall productivity. Click here for ideas to help you manage your part-timers. Our Bright Ideas monthly newsletter offers original ideas every month to help you manage a successful training program and leverage the many features of your Sunhawk learning management system. From the Sunhawk X rollout and important updates to implementation ideas and featured modules, we’ve covered a lot of ground since our first issue. Just in case you missed any of it, we’ve put the Bright Ideas archives right at your fingertips. Click here to check them out!